The Food Alphabet and More: Jumbo Cups are back!!!!! It's Serenitea's Jumbo Anniversary treat! Just order a large drink and Serenitea will give you a free upsize from large to jumbo cup. 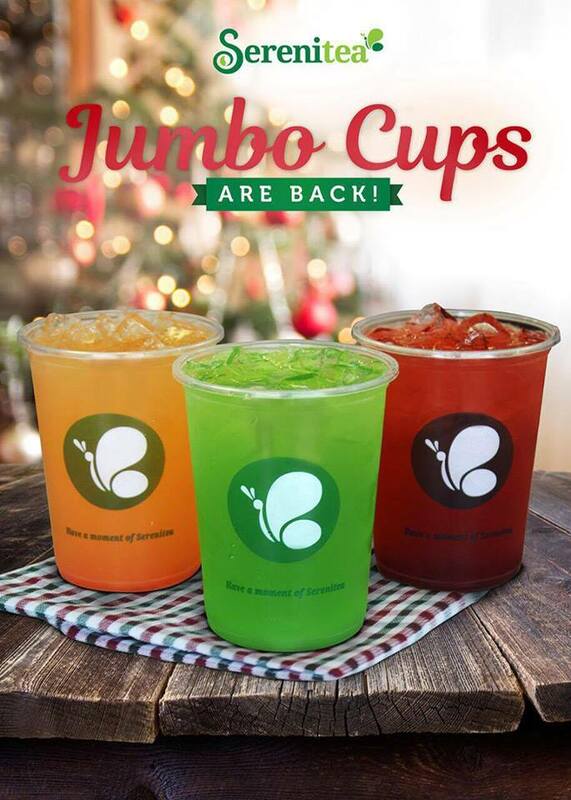 The Jumbo Cups promo will run from December 19 - 21, 2016. Available in all branches nationwide. Valid for Dine-in and Take out only. Don't miss this once in a year offer! Get your Jumbo Cups and satisfy your milk tea cravings only at Serenitea.